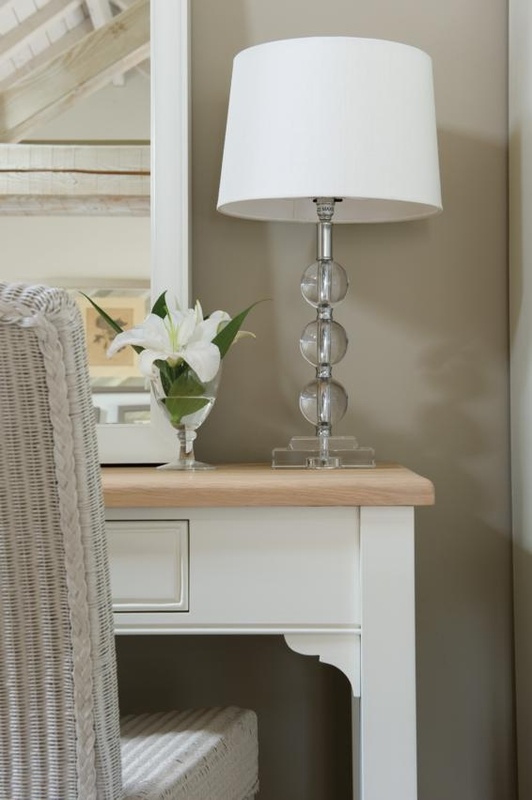 This Chichester Dressing Table embodies the classical design and stylish simplicity of the Chichester collection. 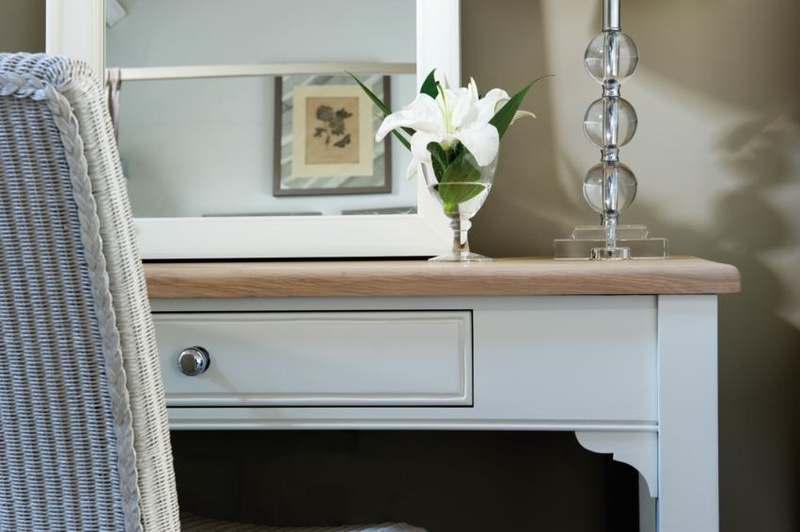 The legs taper to an elegant base and the curved details at the knee mimic the base of the Chichester Wardrobe. 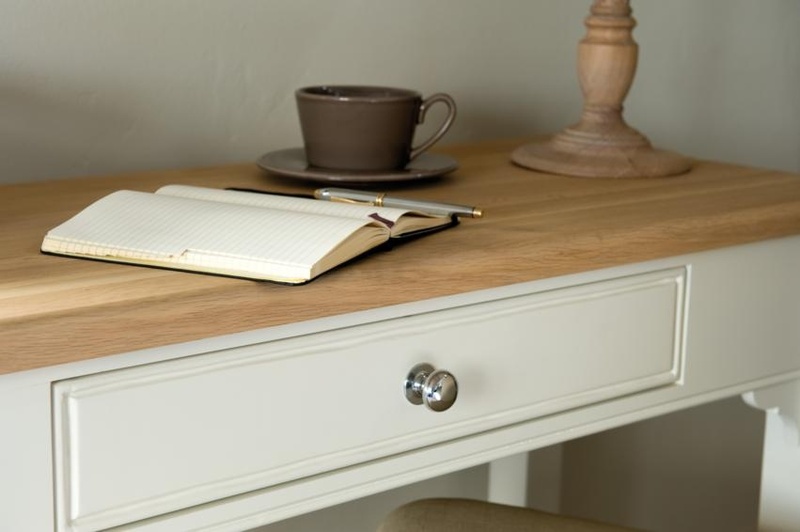 The natural oak top is sealed with our Isoguard system to guarantee a long life, and the large centre close drawer offers extra storage.